Promptness and professionalism; I quickly reply to all phone calls and email messages. A phone call with me before your event, so I can better understand how I can best serve you and your audience. A professionally prepared and masterfully delivered presentation. A quick follow-up after the event, to get your feedback and to make sure I met your expectations. 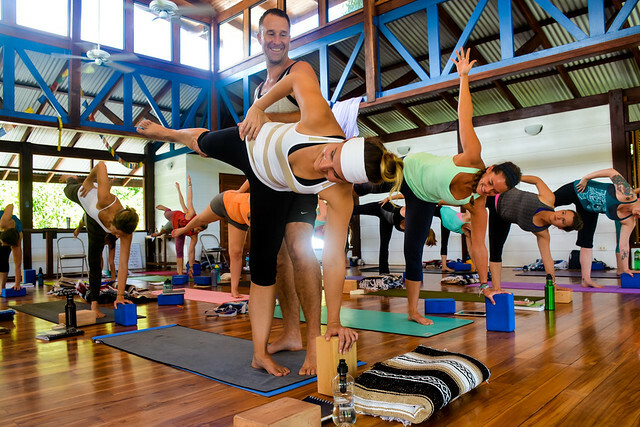 Yogi Aaron, author of “The Autobiography Of A Naked Yogi,” currently serves as the co-owner of Blue Osa Yoga Retreat + Spa on the Osa Peninsula in Costa Rica. 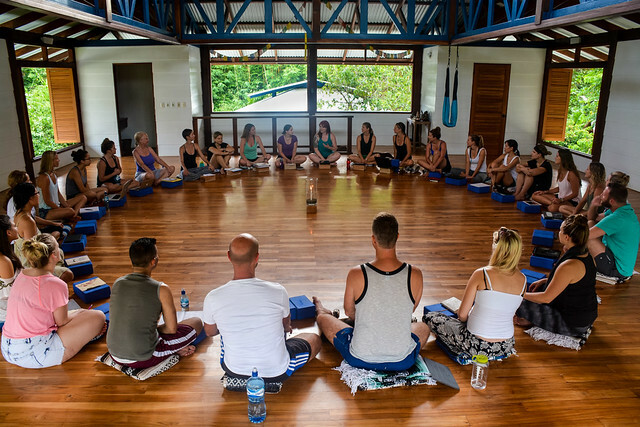 I have led, and continue to lead international yoga retreats and journeys around the world, as well as leading yoga teacher training and immersion programs at Blue Osa. I am an expert in the yoga community with proven marketing methods and is a leader to yoga teachers who are looking to grow their yoga businesses. At 18, I began working out at a Vancouver community center. I soon realized that keeping in shape was a life responsibility and became a student of yoga. By the late 1990s, I was teaching this ancient discipline. I arrived in Manhattan in 2001 and within a short time was offering retreats from California to Cambodia and from the Left Bank of Paris to the Indian Himalayas. It was during a retreat in Hawaii that me and my longtime student, Adam, first discussed creating a community that is yoga-based… and where people can heal their spirits. I wondered: Can we create a sanctuary where people can come, connect to themselves, reconnect to each other, and then reintegrate through yoga back into their life? Six years later, we purchased property in Costa Rica. Our vision with Blue Osa is that when people are quiet, removed from distractions of everyday life, something magical happens. A deep calling starts to surface, to awaken. I caution that I am not a guru in the Western sense. Everyone has to find their own path. At various parts of our lives we need different things. And, at times, people may think people who do not follow their path are not taking the right path. As Blue Osa’s Yoga Director and Master Teacher, I believe there are several conditions human beings need to find their right paths: I really want them to be spiritually heated-up. When we get heated we can burn away our ego and our ignorance, which is what stops us from remembering who we are. Second, I want my students to leave feeling that remembrance—and feeling good and restored. Most important—is that they leave feeling a sense of community and fellowship. When I am not teaching yoga or making jam for the guests, I spend a lot of my time caring for my precious animals who are the real custodians of Blue Osa. My signature talk is on the subject of responsibility—how no one else can bring you the happiness or the life that you want. In my presentations, I empower students to go inward and find faith to create a joyful, content and happy life. 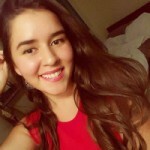 How do you know if you are happy? How do you find and maintain joy and fulfilment, even throughout life’s ups and downs? The key is to look within yourself—it is all already there inside of you. But just looking within is not enough. You also need faith, the glue that holds us all together. Through humorous and poignant life stories–including a near-death encounter in the Himalayas–I share lessons in living with empowerment and authenticity, ultimately inspiring students to tap into their own limitless potential. 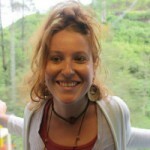 My most popular class, The Way To Tantra, will give you the opportunity to truly deepen your yoga experience/practice. This class is an exploration of the many practices Tantra Yoga has to offer as the tradition teaches one how to move inward to how access your infinite self effortlessly. You will also be introduced to the potential and power of the yoga poses, and feel the sublime effects of them. This session will not only take your practice to a new place of experience and knowledge, but you will also be able to develop and strengthen your power of determination and courage. Thanks again for considering me for your event. You can take the next step by contacting me. Just click on the button below and someone on my team will get back with you right away.